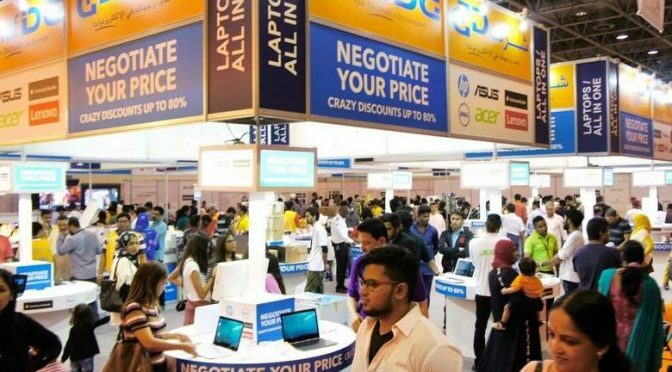 Another mega sale coming up in the UAE for you. Offering unprecedented discounts of up to 80 per cent, the region’s most anticipated shopping and entertainment extravaganza during the holy month of Ramadan — the Ramadan Nights — is set to be held at Expo Centre Sharjah from June 15 to 30, 2017. The fair will be featuring leading local and regional retail players displaying a wide range of household and lifestyle products, apart from lining up enough entertainment, cultural and amusement activities to make it the most sought-after leisure and retail destination this season. With several Sharjah government departments and civic agencies continuing their association with the fair, visitors can expect to see a lot of programmes that will have their support, guidance and active participation. The exhibit profile of the show will cover gift and novelties, perfumes and cosmetics, healthcare products, home electronics and household appliances, home furniture / interior decoration, textile and fashion garments, sports equipment and wears, stationery items, foodstuff, natural and artificial flowers, mobile phones, computers and accessories, toys, and imitation and fashion jewellery, among others. With the UAE retail market forecast to grow from Dh207.6 billion in 2016 to Dh219.3 billion in 2017 as per Euromonitor International data, the event will be the right platform for the local and regional retail industry to gain access and interact with high-spending consumers and visitors from the country and across the region. Ramadan Nights will be open to visitors from 8pm to 2am daily and 4.00pm to 11pm on Eid Holidays. Parking is free, entry Dh5, children’s below 12 years will enter for free.